Five countries. 17 cities. 1 year. 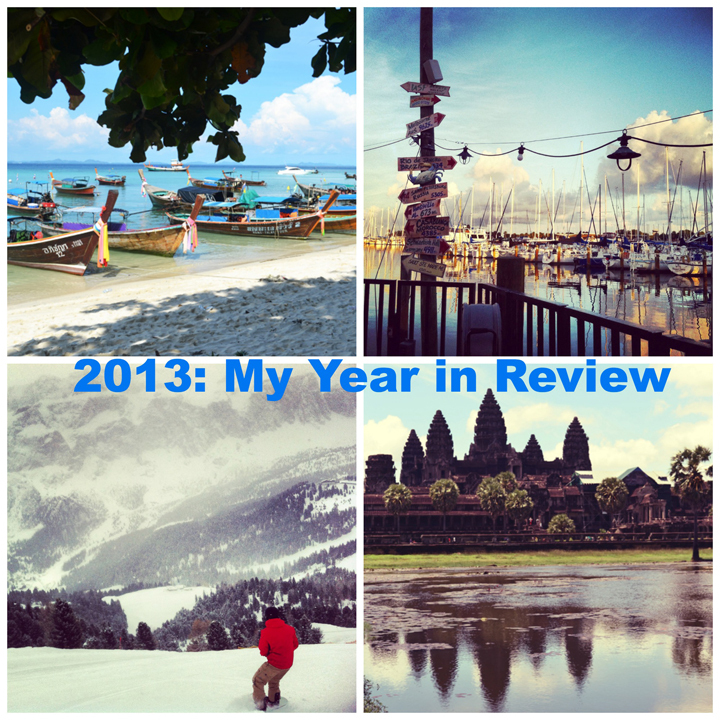 2013 was definitely the year of travel. This was the year I took action and let go of my fear of failure and my fear around meeting other people’s expectations. I did what felt right at the time and I did it for me, not anybody else. 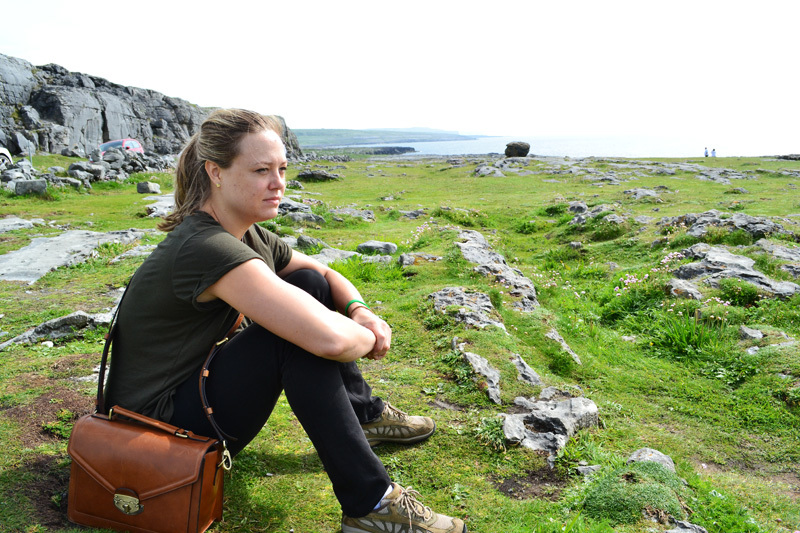 From planning a daunting two week trip to Cambodia and Thailand to deciding to get married, I felt the fear and did it anyways, knowing that sometimes you have to struggle to succeed. This was the year I felt confident in my decisions and confident in myself. So let’s see what happened in 2013 shall we? I kicked off the year in Italy, celebrating New Years Eve in the small ski town of Selva di Val Gardena. I have loved Italy ever since a high school trip to Florence and I was excited to visit northern Italy and Peter’s mom’s homeland for the first time. I fell in love with the stunning mountain vistas and quaint German architecture that reminded me of Salzburg, my favorite city in the world. After days of skiing and lounging at our luxurious hotel, Peter moved to Malaysia while I explored the grand city of Turin with Peter’s mom. I adored wandering through the various museums, palaces and shopping centers while stopping to snack on chocolate pastries and frothy cappuccinos. 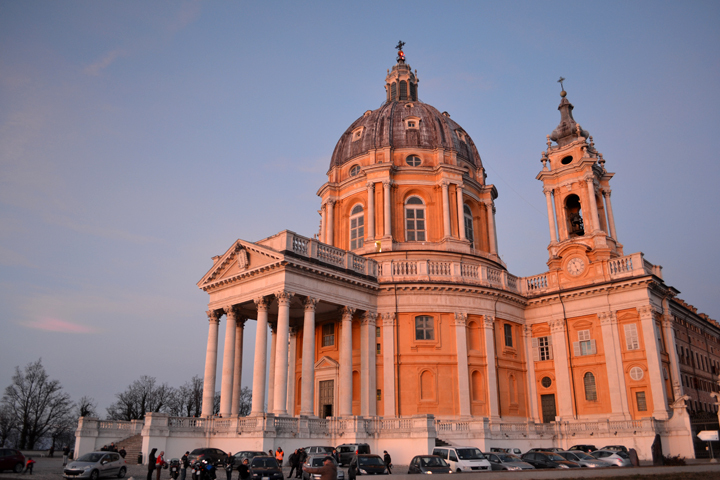 Watching the sunset from the Basilica di Superga was one of the highlights of my trip. 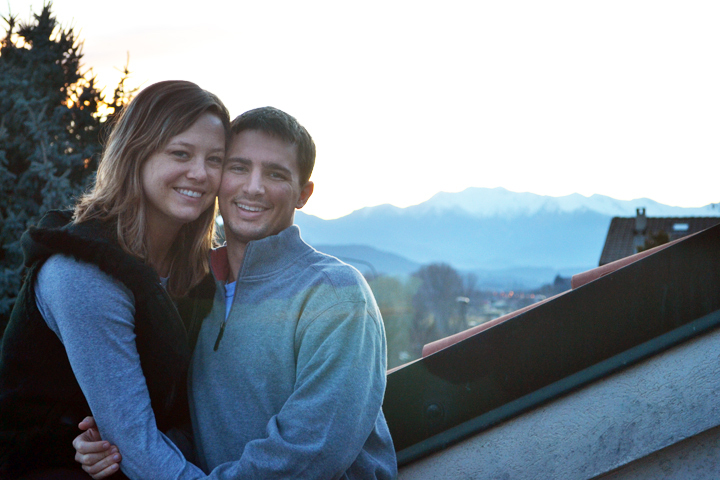 After 10 glorious days in Italy, I flew home to Florida to pack up and prepare to join Peter in Malaysia. Back in Florida, I spent time with Carina and my sister, visited the beach, attended my friend’s bridal shower and stocked up on dresses and t-shirts. Mostly I freaked out about moving to Malaysia and tried to prepare as best as I could. On March 4th, I finally packed up my bags and took a long series of flights to Penang, Malaysia, my new home. My hopes of living in a tropical paradise were consequently crushed by the reality of a small and densely populated island with congested traffic and unbearable humidity. It didn’t help that Peter often worked 12 hours a day, leaving me home alone without a car. Every day I was forced to walk (and sweat) to the nearby mall to buy groceries and work at Starbucks with unreliable internet. Malaysia and I were not off to a great start. Two weeks later, Peter and I joined our other expat friends for a weekend trip to Langkawi, an island in northern Malaysia. Now this was the Malaysia I was expecting! We spent all our time on the beach, in the ocean or in the pool, soaking up the sun and having a great time. 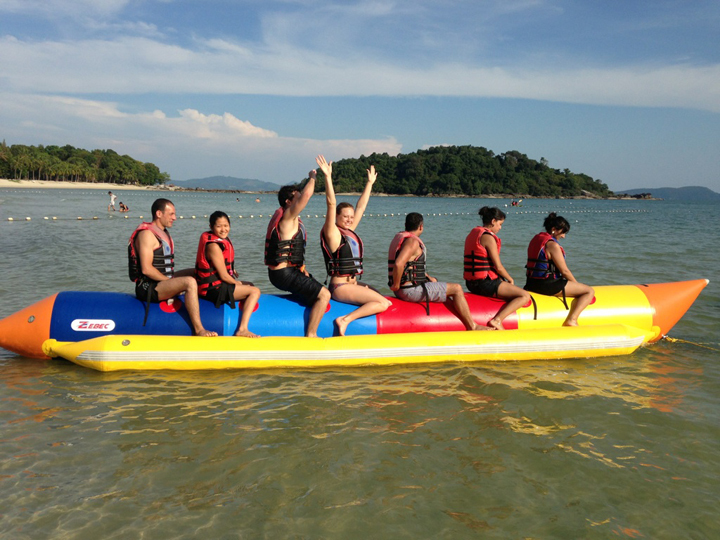 I especially loved getting pulled around on a banana boat! April crept up on me quietly and before I knew it I was graduating from IIN! After one whole year of online classes and monthly calls with a coach, I was finally a certified Holistic Health Coach! It was finally time to start coaching clients… I just needed to find them. But before I could focus on health coaching, I had to plan my birthday trip to Thailand! I never considered myself an anxious person until I started booking a week-long vacation on the Phi Phi Islands. I spent weeks researching and agonizing over every little detail to the point where I was scared to go. What if I mixed up the dates? What if I booked a horrible hotel? Well I guess all that planning paid off because our trip was PERFECT. We stayed at the incredible Holiday Inn on Phi Phi Don and had the most amazing trip of our lives. I went scuba diving for the first time and absolutely fell in love with the entire experience. 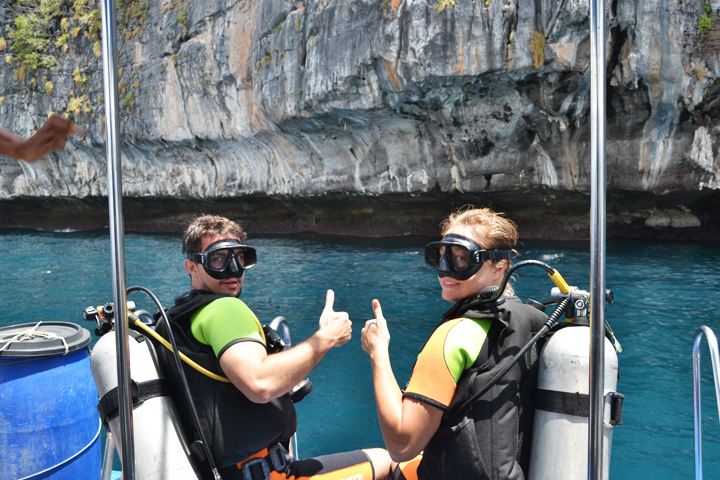 I came face to face with sea turtles, clown fish and eels and enjoyed the feeling of pure weightlessness. I cannot wait to go scuba diving again. We reluctantly left Thailand and I celebrated my 25th birthday back in Penang. At the end of the month, Peter had an unexpected 4 day weekend so we packed our bags and headed Kuala Lumpur, the capital of Malaysia. 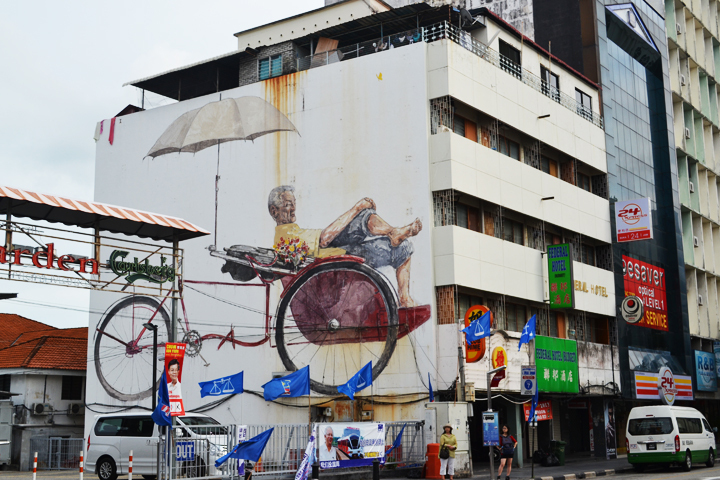 I loved this big and clean city and wished we lived there instead of Penang! 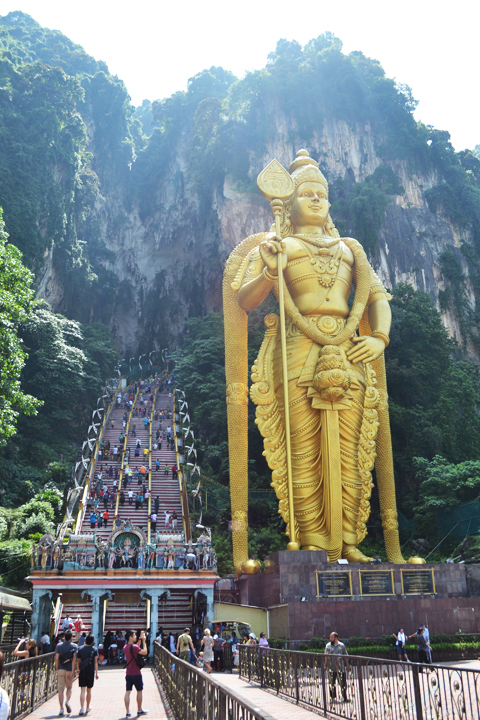 We climbed the endless staircase at the Batu Caves and took a tour through the darkest recesses of the mountain. We also visited the Aquarium and went for a quick hike and dip in a deliciously cool mountain waterfall. I really enjoyed our time in Kuala Lumpur and wished we could stay longer. Most of June was long and boring except when I was frantically planning yet another big trip, this time with my best friend Carina! 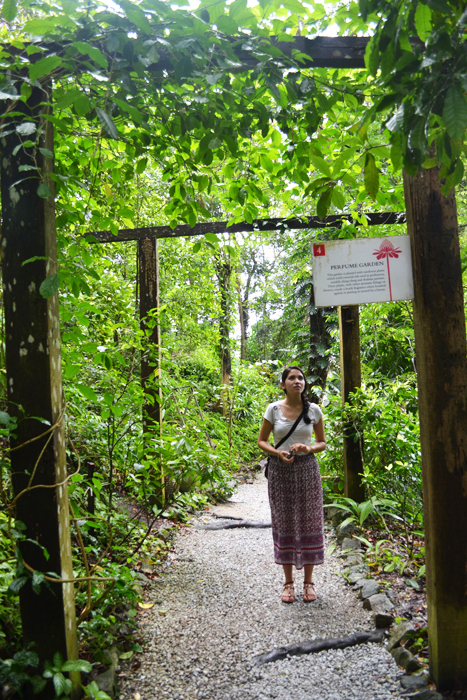 At the end of the month, Carina flew from Florida to Penang and we immediately started exploring. Carina helped me see my home in a new light and I actually grew to love the beautiful architecture and cultural complexity of Georgetown. We also discovered the incredible Tropical Spice Garden and had some fun at the Georgetown Festival. But our trip had only just begun. 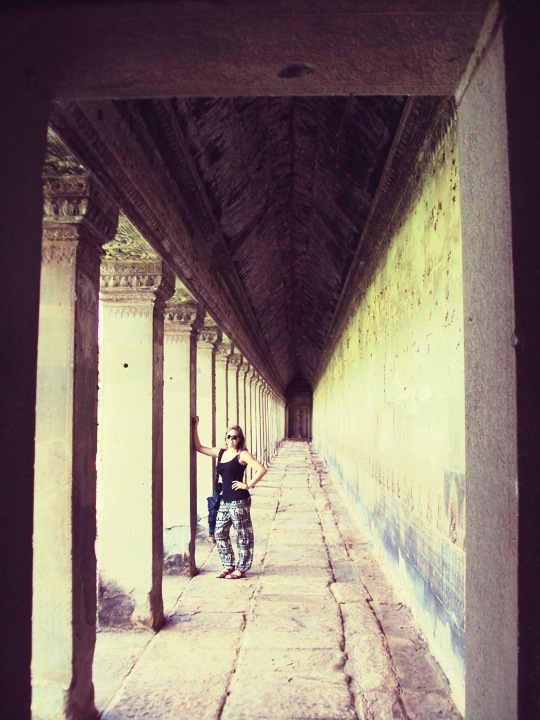 First we flew from Penang to Siem Reap, Cambodia and were immediately awestruck by the magnificent Angkor Wat, Angkor Thom, Banteay Kdei and Ta Prohm temples. Our worst experience was our pushy tuk tuk driver and that night Carina had an allergic reaction to an oil massage. But our favorite experience by far was the KKO Off-Road Bike Tour which took just the two of us on a ridiculous mountain bike ride on dirt roads through the countryside and hidden temples in the jungles. It was one of the most challenging yet rewarding moments of our entire trip. Next we flew to Chiang Mai in northern Thailand and I immediately fell in love with the laid-back and friendly vibe of the city. Most days we toured Old Town by foot, exploring little shops and gorging ourselves on fresh juice. 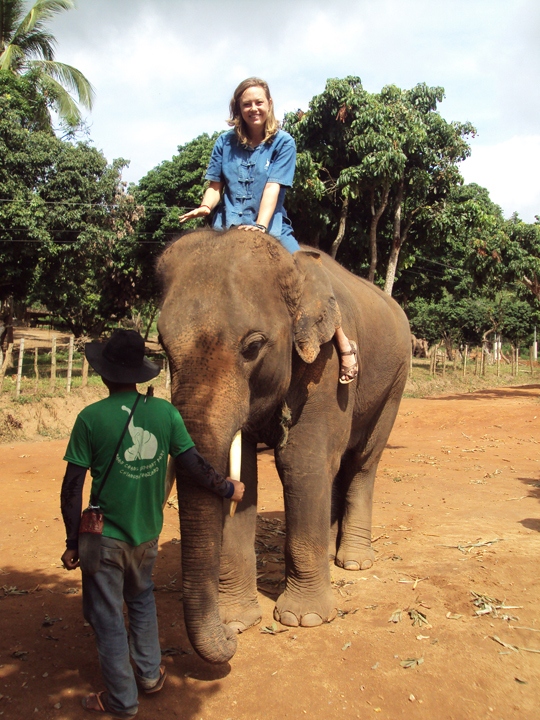 We spent one day at an elephant park learning about the elephants, feeding them, riding them and even bathing them in a pond. It was an incredible experience. But my favorite day was an overcast and misty day spent in the nearby mountains to see Doi Suthep, a hilltribe village and the royal palace. Chiang Mai is a city I will never forget and long to return to. 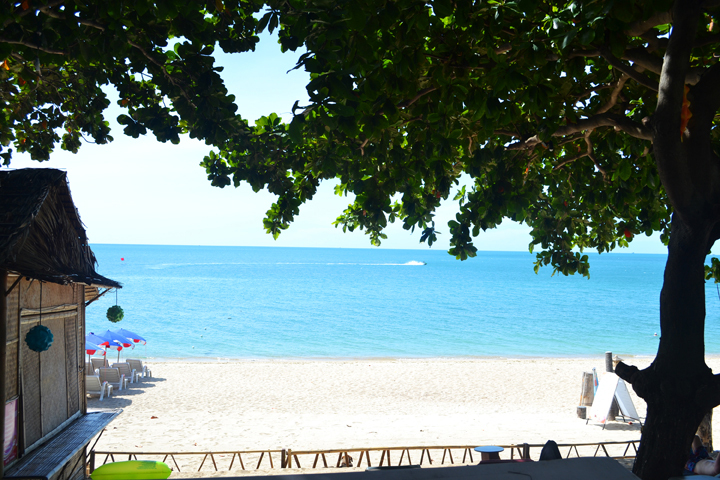 Our last few days were spent lounging on the beach in Koh Samui. But even that got boring so we hiked up a nearby mountain and went swimming in a waterfall. It was awesome! After almost two weeks traveling, Carina and I flew back to Penang where we were attacked by monkeys on Penang Hill. It was great fun. Then Carina flew back home, leaving me in Penang to get some work done and prepare for another trip home. I had already planned to fly home for my cousin’s wedding and then Peter learned that we were leaving Malaysia sooner than expected. Since it wouldn’t make sense to fly back out to Malaysia for just a few weeks I packed up all my stuff to leave Malaysia permanently. What a great surprise! Back in Florida, I drove with my family up to Tallahassee for my cousin’s wedding. I loved seeing my Canadian relatives and being reunited with my family once again. Peter flew back to Malaysia while I did some decidedly Florida activities like ride my bike, take the boat to Egmont and pet kangaroos at Busch Gardens. While the weather stayed hot and humid in Florida, my mom and I planned a little trip north to Boston and Pennsylvania to visit Taylor and friends. 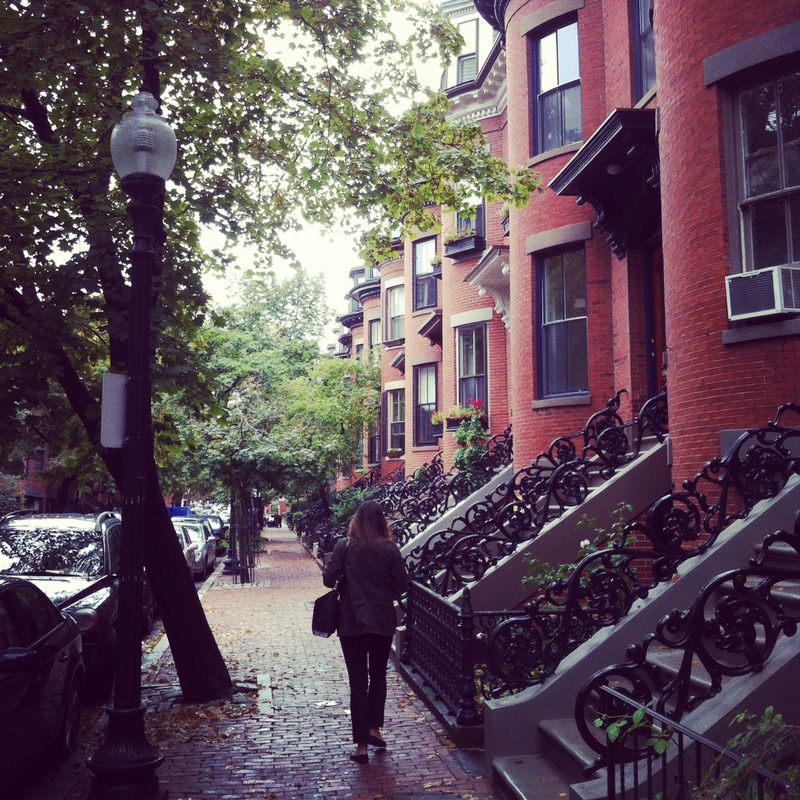 I was happy to travel within the United States and visit one of my favorite northeastern cities. In Boston we did endless walking and shopping in the brisk fall weather and saw an outdoor ballet performance in the park. My mom and I then took a train to Lancaster, Pennsylvania and reveled in the slowness of Amish country. I have never been more grateful to see cornfields, cows and farmers markets in my entire life. God bless America! This month was big for me professionally when I attended the ACE Symposium East in Orlando. I met some of my favorite trainers and fitness advocates and attended amazing classes on things like personal branding and self-myofascial release. My favorite part was taking Shakti with Lawrence Biscontini, meeting my fitness idols, and winning Bose headphones for best tweet of the conference! On Halloween I dressed like Sandy from Grease and had an absolute blast. The next day Peter left Malaysia permanently and moved back home! He would start another position in Shanghai but we were not sure when. At the beginning of the month I was selected for Jury Duty and spent a crazy week in court. During deliberation I was selected as Foreman of the group and announced our decision to the judge. It was an exciting experience that proved that I can be a leader. The next week Peter took a business trip to New Zealand, we celebrated my mom’s birthday, and then we celebrated Peter’s birthday. 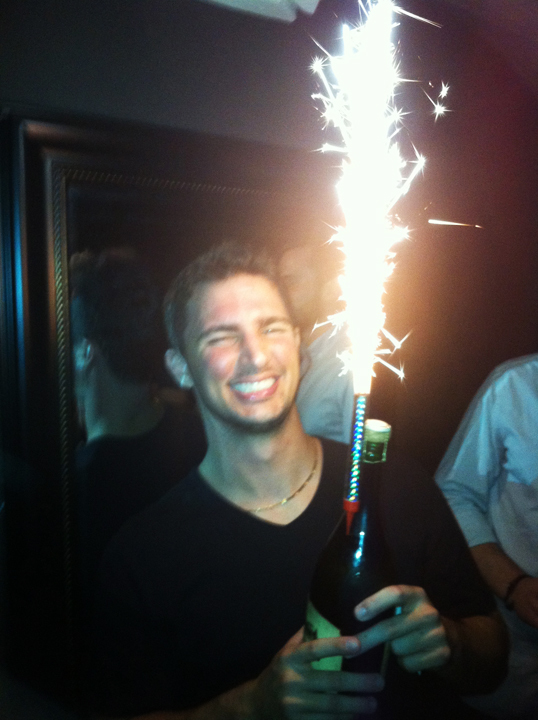 I organized a big party with all his friends and was thrilled to see him so happy. 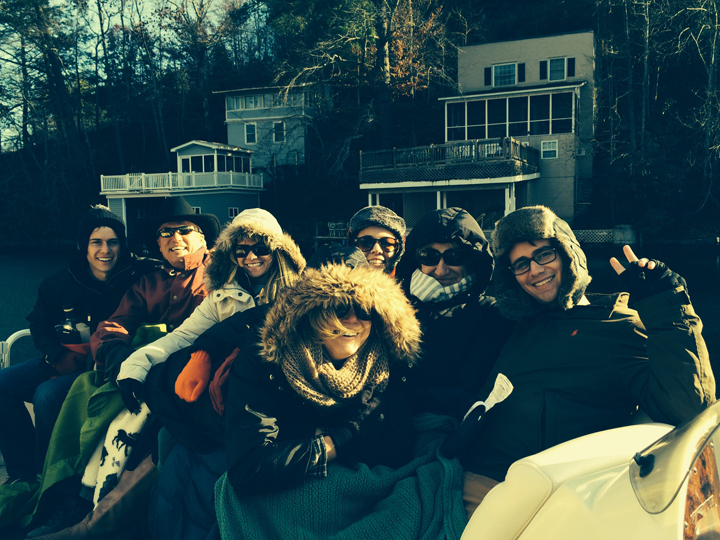 Thanksgiving was spent in North Carolina with our family friends and it flew by too fast! I ate a lot of pie, took a lot of long and cold walks and even went boating in the snow! 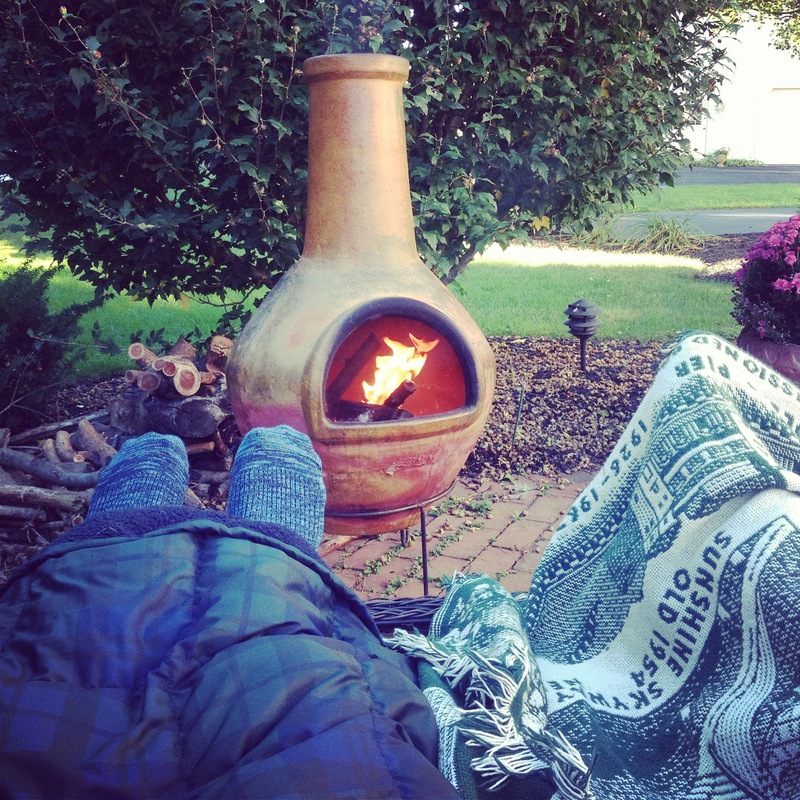 This is one of my favorite family traditions. We got engaged! 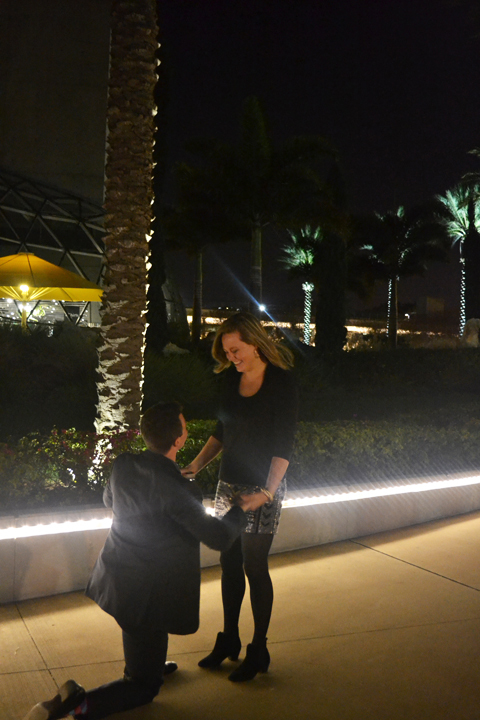 Peter proposed after a Goo Goo Dolls concert and totally caught me by surprise. This was by far the biggest surprise of 2013! Totally unexpected and wonderful at the same time. Wedding planning is extremely daunting but we’ll see how it goes. December was also the month for parties! 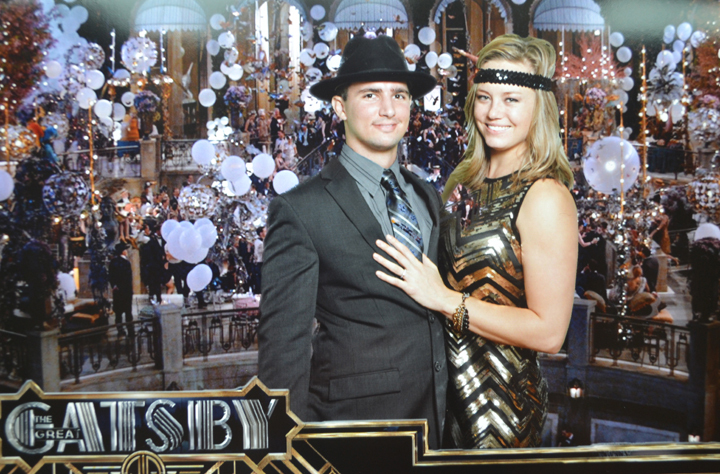 First was a Great Gatsby themed party for Peter’s company. We were able to hang out with our good friends from Shanghai John and Barri! They have a sweet little baby named Sloane and she is such a cutie. We also celebrated Taylor’s Birthday, Peter’s dad’s birthday, several friend’s Christmas parties, and the Debutante Ball. We were in Sarasota and Fort Myers with family for Christmas Eve and were back home on Christmas Day. 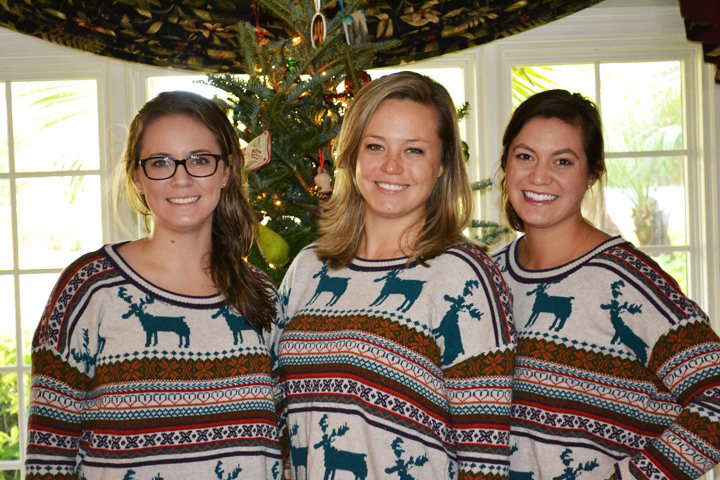 I bought matching Christmas sweaters for me and my sisters which was hilarious and just like when we were kids. Surprisingly, December was my busiest month in terms of responsibilities but it was also the most fun. While I enjoyed traveling this year, my favorite moments are probably the ones I spent at home with the people I love the most. 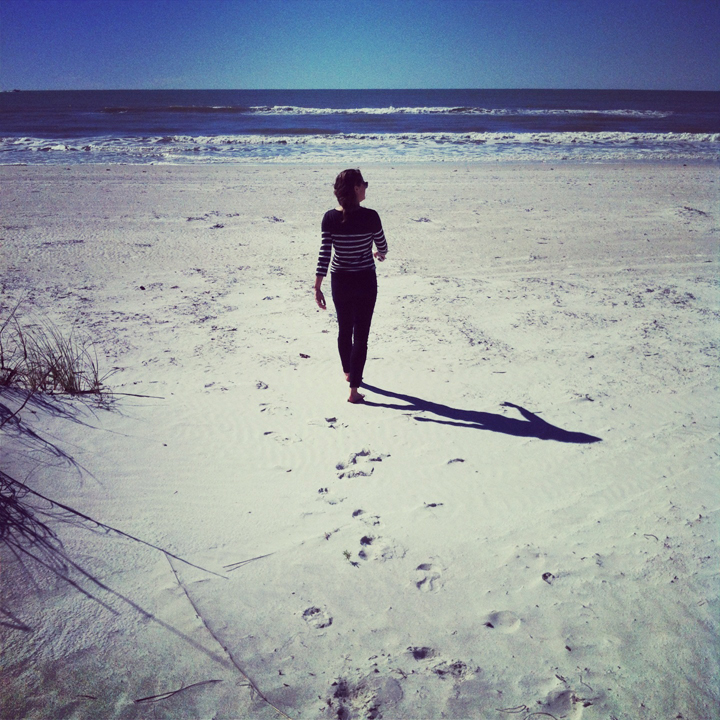 Ringing in the new year with my closest friends and fiancee in Florida was a perfect way to end 2013, the year of travel. As for 2014, I know I will be planning a trip to New Zealand, moving to China, all while planning a wedding in Florida. As usual, I don’t know how things are going to pan out but know that somehow they will. Bring it on 2014!